I have been interested in the Tarot since I was a child and always do readings intuitively. So, the readings I give contain psychic messages and insight from Spirit. In 2016, I became a certified Fairyologist with Doreen Virtue. People come to me looking for advice on issues like relationship problems, a new career direction, problems relating to their children, health or financial concerns. Without fail, they have all been given psychic guidance and insight	from Spirit to help them make their own choices in life. My psychic readings are aimed to give guidance, understanding and compassion to people. 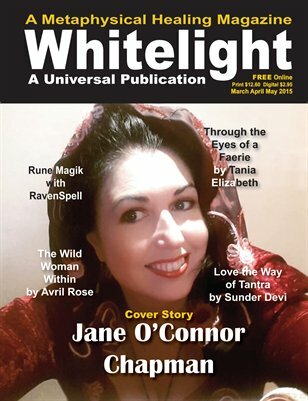 I am regularly published with articles in White Light magazine, in Australia, and I have appeared on American radio along side Barbara Mackay on CBS New Jersey Radio. Here is a clip of me on her show: Visions with Barbara Mackey . Copyright ï¿½ 2009 to 2018. All Rights Reserved. Web Design by David Chapman.